Dear brothers and sisters visiting our site, welcome! In this message I felt something very special, really strong conection with our Elders Brothers*. I recognize This VERY moment as the Cosmic Reintegration on Earth and our system! Enjoy the message, visualize it, feel it and a strange sensation of All Knowing will sprout in your heart. Welcome To New Era, the Cosmic Reintegration, powered by THE ONE. I have never been so blown away by pre-trip visions as I have with this recent trip to Egypt. Something inside of me said that this was a trip of a life time. Since 1995, I have been in the Maya Lands for Spring Equinox. But I broke a pattern this year. WHY? Maybe it was a coincidence . . . maybe it was not. 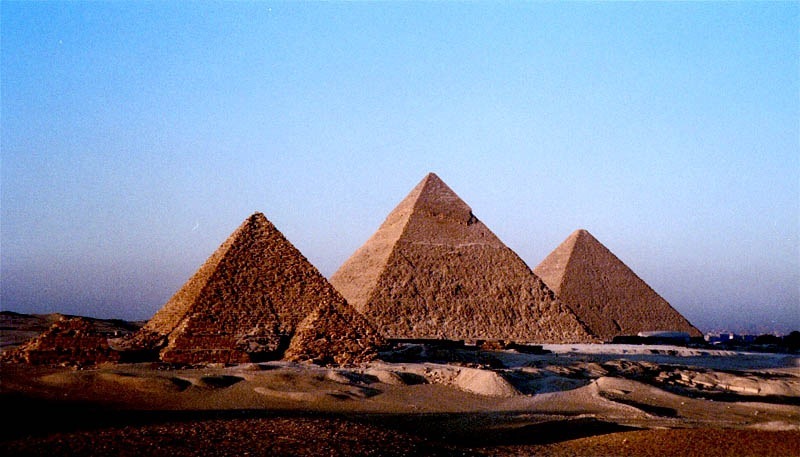 What I discovered is that we decided to travel to Egypt for the duration of the first phase of the ninth wave . . . a seeding period (March 9th – 23rd) that Mayanist Carl Calleman speaks of.) If Calleman’s theories are correct, then I also find it interesting that we will be in the flowering stage of this 9th wave while we are in Peru this coming September. (see trip plans below) Believe me, I didn’t plan it this way. But isn’t it nice how synchronicity is so prevalent these days. I know that what we started in Egypt will unfold day by day. We are so happy to be bringing these messages back to you. Thanks to Raphael for transcribing the hours and hours of recordings. The following is message 1 &2 that we received in Egypt. We are sharing this message here with you just as we received it, in present time, with very little editing. We do this for a very important reason. We know that the messages we receive are not just for our groups, but are for humanity also. So as you read this, just imagine that you were there with us, along with the The Immortals, Horus, Hathor, and other Star Masters. The Star Elders assure me that the message and the corresponding energy will be transmitted to you. You might want to imagine that you are with us. Also, always view the photos that we share, since photos also hold some energy of the sites. Today is a new dimension. Today is a new world. It is all this and yet this cannot even come close to describing what we are feeling in this new energy. This new dimension is beyond definition and is unknown. We are thankful that we are a part of this first stage of a seeding of a new age (in a new country – Egypt), and in a world that is transforming right before our eyes. To be able to walk in these sacred temple sites where the "first people" came, for the first time, long before Atlantis, is a gift. It is just an amazing blessing to be here on Earth. So we ask that the guides, guardians and Angels be with us now, to walk with us and help us shift our perspectives, so we can understand the new energy ahead of us. The way that we perceive our world today will be different than the way we will perceive it by the end of this pilgrimage (the end of the seed stage of the 9th wave). The Guardians are saying that the love in this group (and those reading this) is incredible. I don’t think that any of us really needed to hear that, because we already know that we come from the heart. But they want to acknowledge the unconditional love that we have developed over the years and lifetimes. It is a gift to have the ability for each of us to be allowed to have our own personal experiences and path, yet we are all still unified in the heart. We are unique but still bonded together. Spirit brings us together in special ways . . . synchronistic ways . . . that are beyond understanding right now. I know that we are all going to enjoy being together and sharing this experience together. I am so thrilled that Spirit brought us together, because that is the only place that we can give credit to. So thank you guides, guardians and Angels and thanks to everyone in this room (and to those reading this), because we are all students and we are all teachers to each other. We are diverse, yet a unified, ONE Heart with one purpose and that is to advance ourselves into mastery. So now we begin our pilgrimage into the new unknown. I feel a very small group of beings. Very old . . . really super subtle . . . so to get an exact message I would need to sit here for days. But I will do my best here in the short time we have. They came to the Earth from the stars to anchor a seed. This was a very small, reclusive group that anchored here in this very small area. This place and these people are older than any place in Egypt that I have felt before. They feel like the Essenes, an Esoteric Spiritual Order. They are so much older than any historical record of the Essenes. They were the original Essenes. They were very pure and egoless. They are a small group, and from what I am seeing, it was there first time ever on the planet to anchor their energy here. They were a reconnaissance team . . . a scouting from the stars. They investigated Earth in a very quiet and secret way. The time line is really, really old. We don’t have a calendar or time line for this. We don’t have a concept of even how old this age is. It doesn’t look like there were any other people, human or otherwise, around. This group was about 20 or 30 souls, and that is it. Earlier, when I said the word seed, I could feel their energy coming in stronger. So that is a clue for me to dig into this clue. I have been feeling that we (and those reading this) are the seeds for the new age that is coming. So maybe this is why we were called here . . . to pick up their seeds that they left here for us to use as a foundation stone. We are here to pick up the seeds which they left behind from that age past that was so pure, and clear, full of light and truth. We are picking up these seeds to carry through the rest of our pilgrimage and then to take the sprouts back to our homelands. Right now, we are absolutely in the same spot/time that they were in this past age. We are in the exact same time in the grand cycle when they built this chamber to anchor their seeds. Does that make sense? Perfect timing again. Our guide Emil shares: I never expected that I was coming here. It is your manifestation Aluna, because the place was closed for a long time. Aluna: When we first arrived here, I felt sadness. These old ones had to seal something up here and then they had to leave. It was sad for them to leave. They loved the dimension they were in. And this is why we are feeling this now . . . . Inside of us, when we start transforming into a new world/dimension, there is going to be a place inside of us that still loves this dimension. It is a beautiful dimension, and we have had wonderful experiences here, but they are saying, we will be called to release this dimension, and let it go. It is a sadness that we might feel when it comes time to make the leap into the emerging new reality, or even to leap into ourselves fully. It means that we are going to have to let something go or leave something behind that we loved but no longer serves us. What they are trying to share with us here is that they learned to let go, and it was good. And we also will learn to let go, and it will be good. Does that make sense? So if we feel the sadness, it is about letting go of the old part of ourselves, no matter how beautiful it was for a time. It is time for us to create space inside of us for something new to sprout . . . this new seed to sprout. Group member Carmel: I think this is why our families didn’t want us to come to Egypt not because (allegedly) it wasn’t safe, but because we will change, and they love us. Aluna: What the old ones are saying is that in a way, we are going to die here, and we are not going to go home the same way we came. So, what we are going to let go of is the definition we have about ourselves. We are going to let go of the things that we are attached to. We will need to be ready to let go of the past when the time is right, and this process is starting now. I feel a subtle honoring from the old ones. They are happy that we are here, and they are passing on their seed to us. So we now can send love and blessings back to these beings. Oh h h . . . , there is one more thing . . . they are going to give us something. They have a big basket out in front of them, and they want you to put things in the basket, at least for this moment, that you know you don’t need anymore; things that you are ready to let go of. Toss what you understand in this moment as unnecessary into this big basket. They say they are going to take care of it for us. They are telling me that ancient ones helped them through this process in the past. These ancient ones are even older ones of which I cannot feel. But they are telling me that these older ones helped them let go, so they could be birthed into a new dimension. Now they are helping us to let go so we can be born into a new dimension. They seeded their pure energy here so we could come and collect their seeds and to also learn to let go of the age that is disappearing right in front of us. We thank them for this help. * NOTE of this blogger: Actually, who do you think They Are? It’s the Higher Cosmic Engineers, those that create your hinagata (spiritual shape), coming back to spread new seeds of life and maintenance of balance in this field. Maravilhosa experiência! Como Aluna, não há dúvidas de que muitos estão recebendo as sementes de nossos Jardineiros para atuarem como semeadores da Nova Era. Me senti dentre eles! E se o caminho é longo, mais florido ele se tornará! ;) Valeu Klad! Hugs!